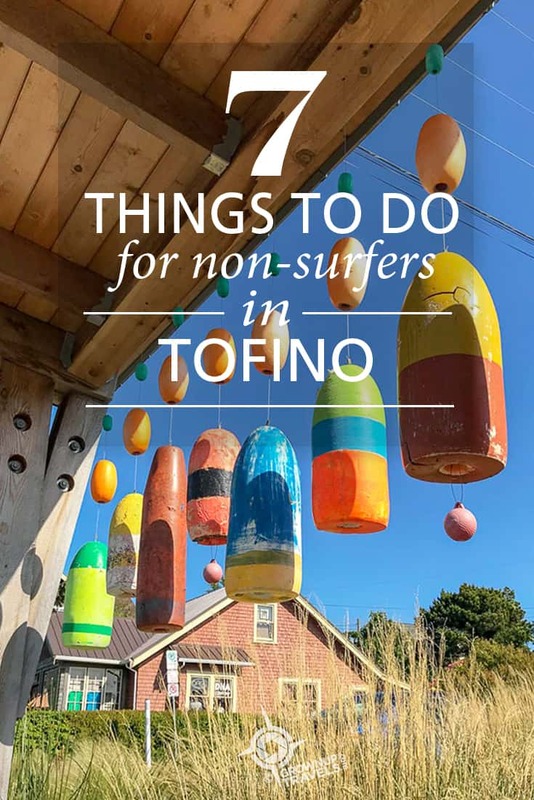 What to do in Tofino if you’re not a surfer? 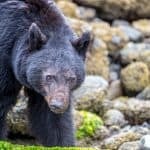 You don’t normally think about viewing bears when you think of a seaside town like Tofino, but this is one of the best places to go on a wildlife viewing expedition – and you do it by boat! 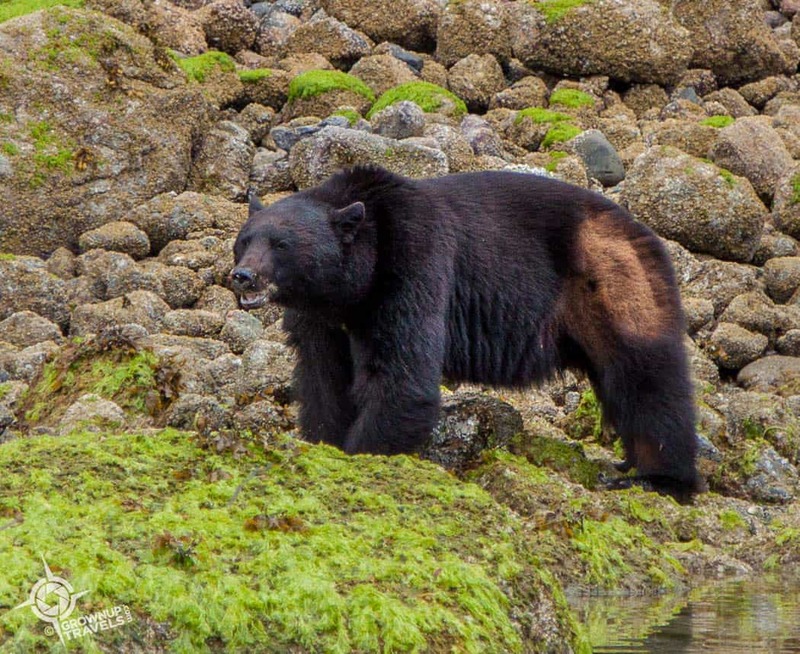 That’s because at low tide, bears come to the shoreline to look for crabs and other marine life under the exposed logs and rocks, and boaters who position themselves just offshore have an unobstructed view of them. 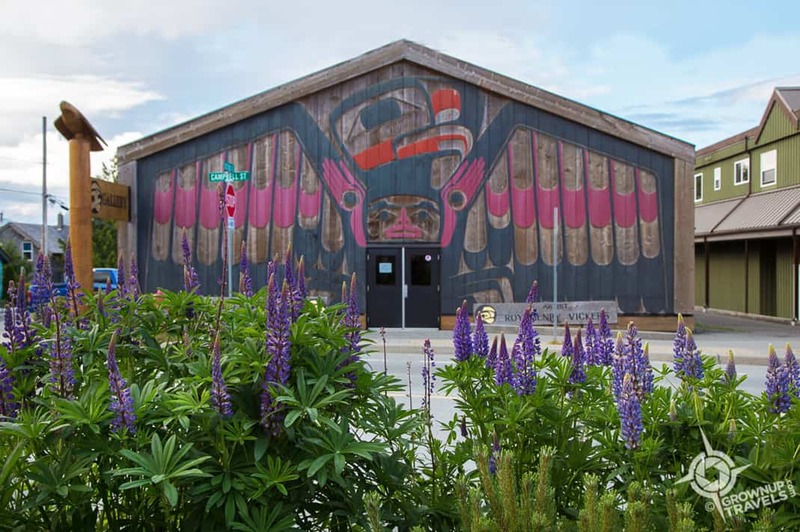 Check out the 2 ½ hour tour offered by Clayoquot Wild, a First Nation family business that has been running cultural and nature tours here for 24 years. 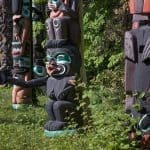 This tour was one of our favourite things to do in Tofino that we didn’t even know about until we arrived. 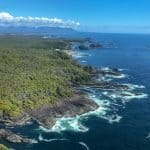 Sure you could go on a typical whale watching tour on a boat, but why not do it from a helicopter, and get an aerial view of not just whales, but seals, sea lions, and the spectacular landscape of Clayoquot Sound Biosphere Reserve? 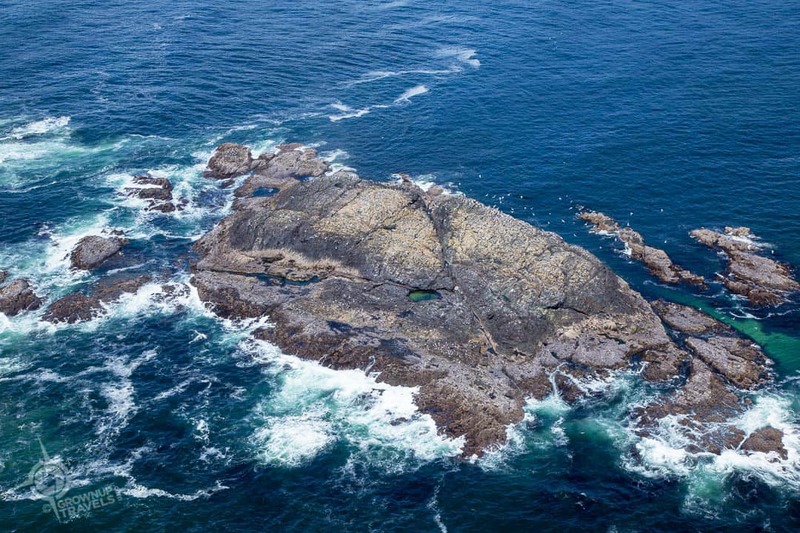 Atleo Air offers helicopter tours that are not your typical in-and-out tourist rides: they will customize the trip to suit your own tastes, even stopping off on a remote island for a walkabout to explore tidal pools before returning to base. 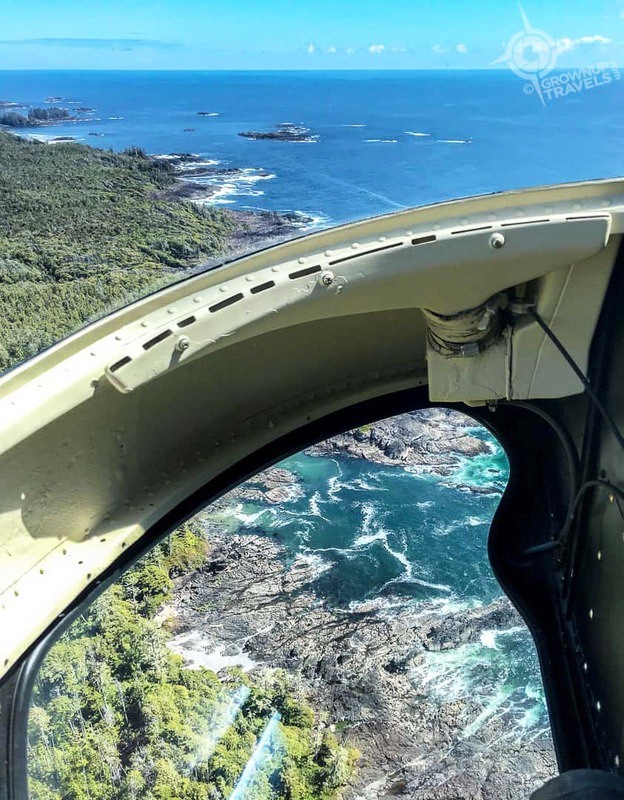 Flights start around $200 per person but the cost is well worth it for the views and the kind of experience most people don’t think of when they are searching for what to do in Tofino. 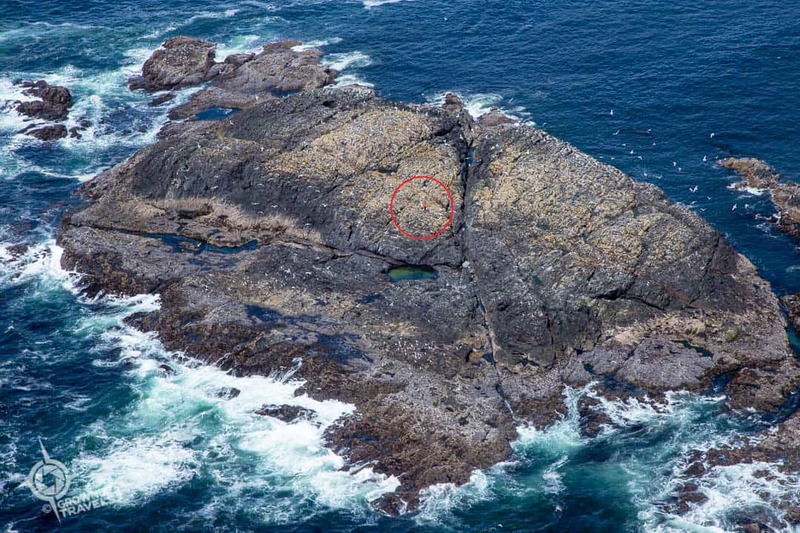 Can you spot the person on this tiny islet? I have no idea how this guy got here! 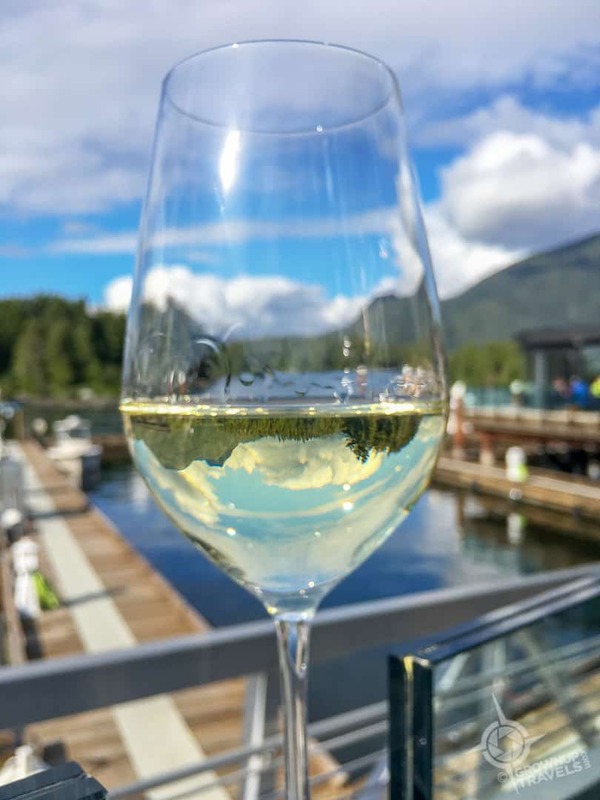 There’s nothing quite like a beverage with a view and the Tofino Resort and Marina is one of the best places in town to enjoy both. 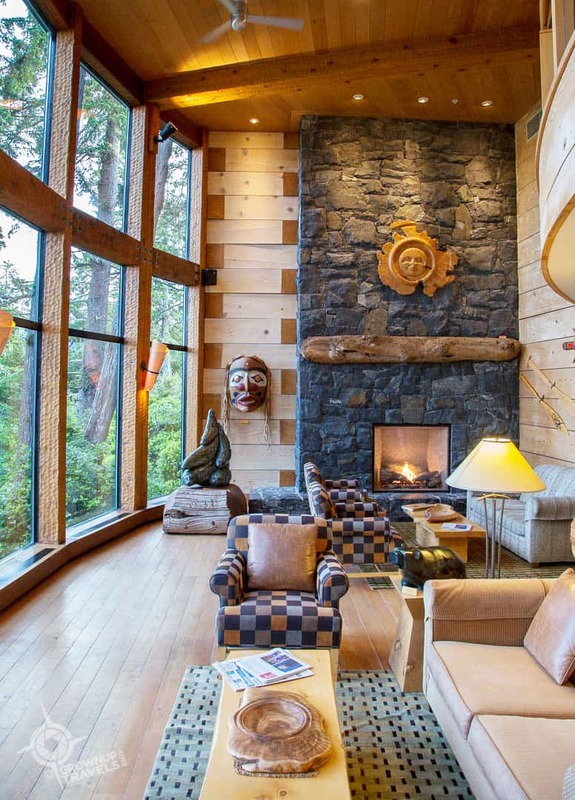 Almost hidden at the bottom of a steep driveway off the main road, the deceptively large Tofino Resort and Marina is a property that was developed by a couple of former Vancouver Canuck hockey players, and they’ve done it up right. The expansive waterfront deck looking out over the Marina is the only one in town, with casual fare served at the waterfront pub, the 1909 Kitchen, and more formal dinners at the stylish Hatch restaurant next door. Known to locals as ‘the Wick’, the Wikaninnish Inn is one of Canada’s few Relais & Châteaux properties and certainly Tofino’s most luxurious. Its stellar location directly on the longest beach in the area, Chesterman Beach, makes it a must-visit just for the views alone. 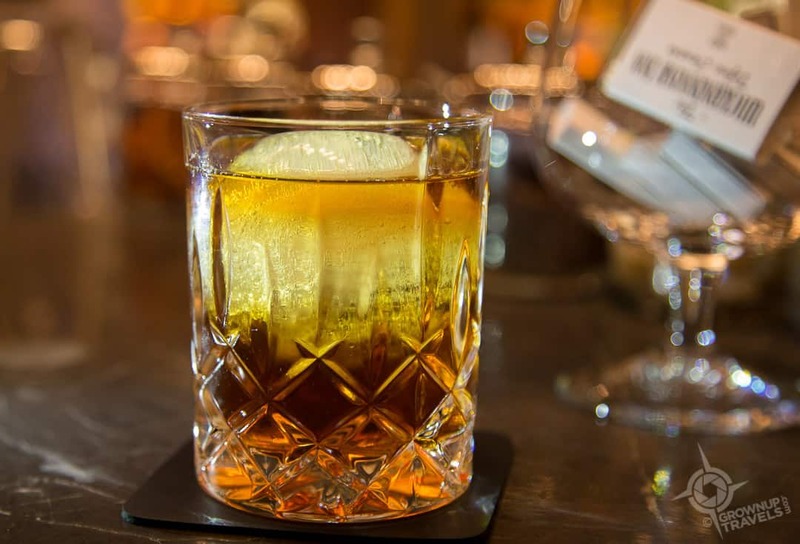 Even if you aren’t staying here, you can have dinner in the adjacent dining room and enjoy the expansive views of the Pacific coastline or drop by their On the Rocks Bar for a drink. 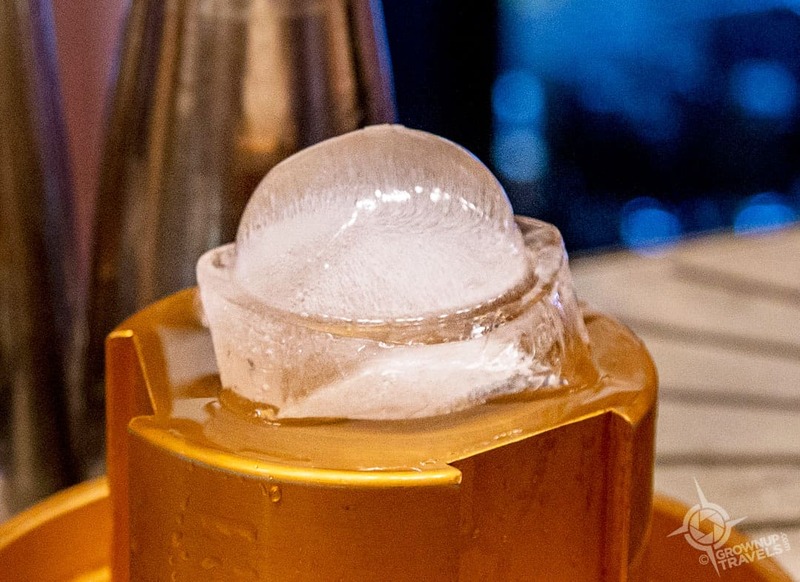 If you opt for a cocktail, have the bartender create a perfectly spherical ice cube for you in his copper ice press – its worth it just to watch the process. 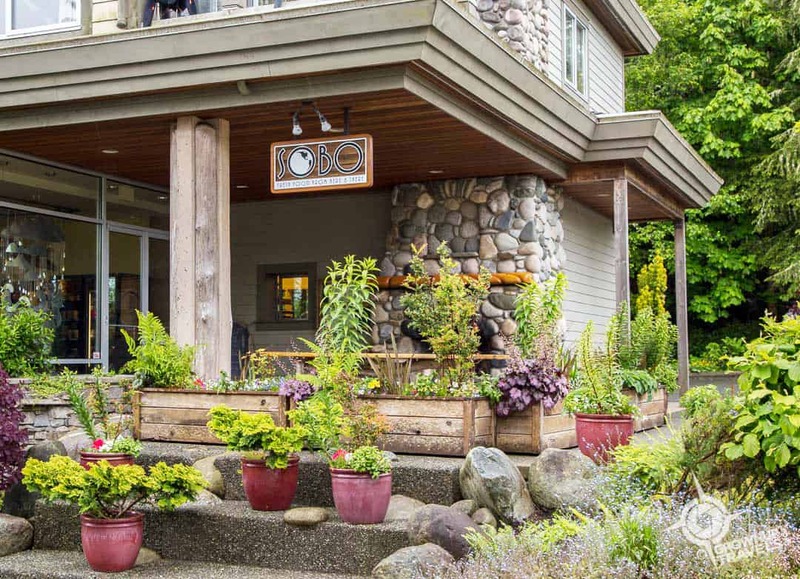 Ask the locals where to eat in Tofino when it comes to find dining and the answer is probably going to be Sobo. 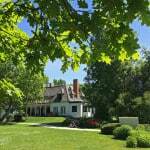 The restaurant began as a well-equipped purple catering truck and after expanding into a proper restaurant in 2013, was named one of Canada’s Top 10 Restaurants by enRoute magazine. Family-run by a couple who appreciate the lifestyle of Tofino, the food may be amazing but the restaurant is as laid back as the town. As laid-back, food truck fare goes, Tacofino is a must-do for every visitor, not just if you love freshly prepared Mexican food with fresh west coast ingredients, but for the history alone: the franchise which has now expanded to other locations in Canada began with the original truck here in Tofino in 2009. 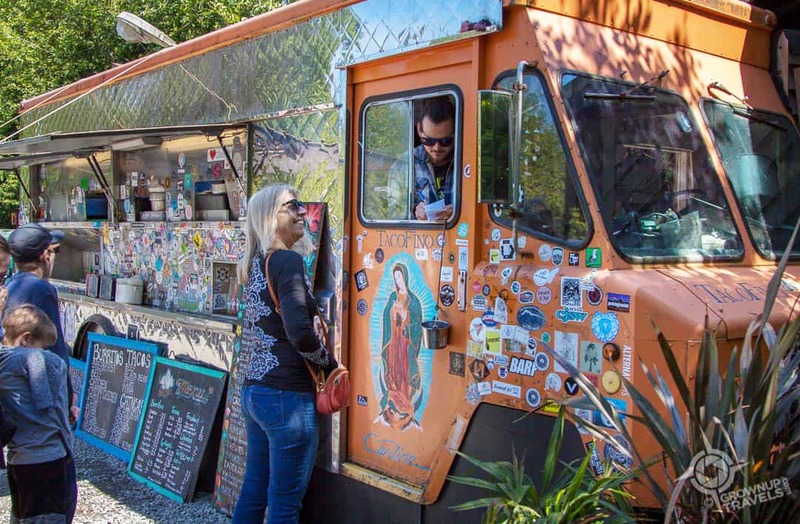 Located at the back of the boho retail village known as Live to Surf, the signature orange truck serves burritos, tacos and more to locals and visitors who come here for the fruit Freshies and fresh fare. New mamas toting babies are regulars (while their hubbies are out catching waves). 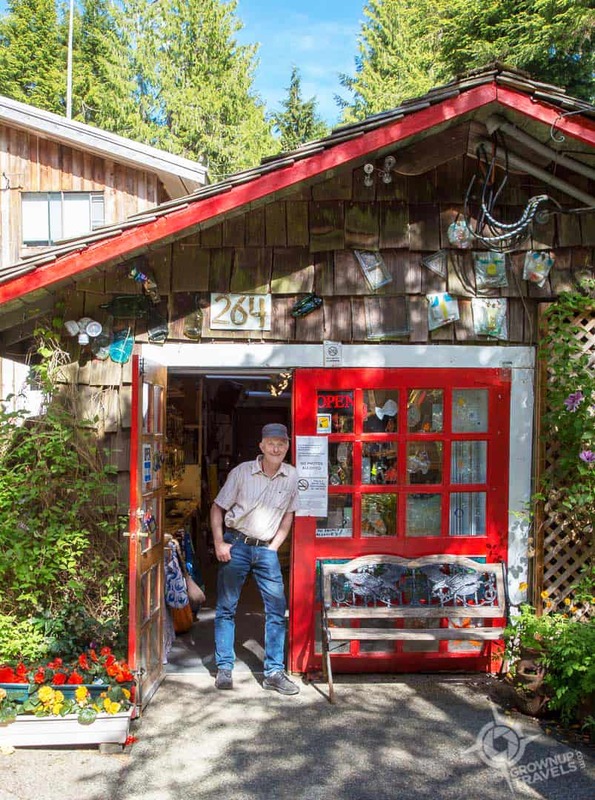 Whether you are looking for indigenous art (the real deal), jewellery or other crafts made by local artisans, Tofino can do serious damage to your credit card. A good place to drop some coin would be the Roy Henry Vickers Gallery. 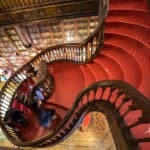 a long-house styled gallery that sells fine art originals by the artist of the same name. Or there’s the House of Himwitsa which sells bentwood boxes (a signature West Coast design), masks and other works by indigenous artists. For more affordable jewellery, pop into a local artisan’s studio to shop direct from the artist. And for something beachy and really local, ask for the Tofino Round Towel at some of the local shops. Even if you don’t come to Tofino for the waves, there’s definitely plenty of other ways grownups can enjoy their time here. These suggestions above are just a start. 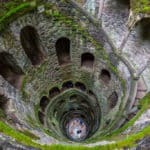 As for the rest? If you’ve got any favourite things to do in Tofino, share them with us here. For everyone else who has never been to Tofino, you’ll just have to go and discover some for yourself! Sounds like you had a blast, Heather. I can definitely see the whole camper lifestyle making sense when visiting Tofino and Vancouver Island, since there are so many beautiful places to park. (ditto for the Yukon, by the way). Glad you got to enjoy Sobo, too when you were in Tofino. I’m only sorry I didn’t get to pick up a ‘Tofino towel’ when we were there (those really cool circular ones). 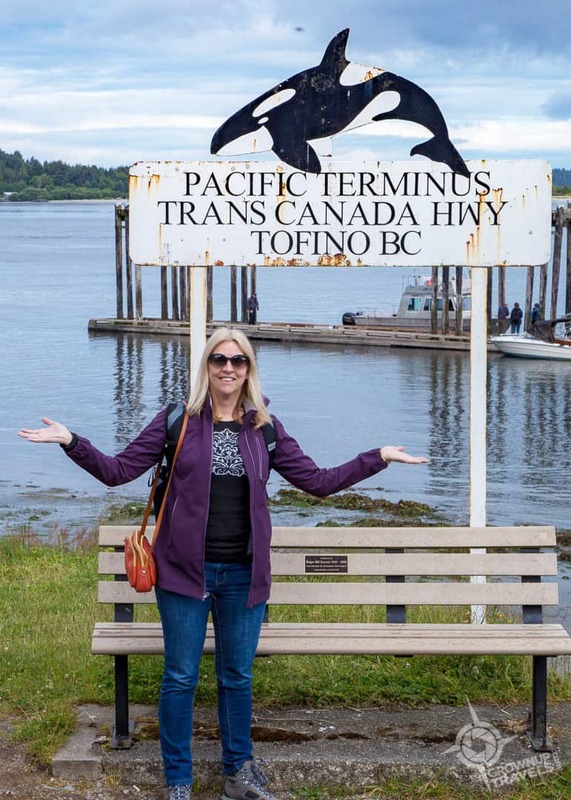 Never heard of Tofino before this! Thanks for the introduction~ Looks lovely! 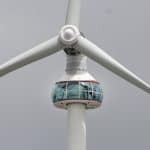 It’s a real gem on Vancouver Island, Irene. 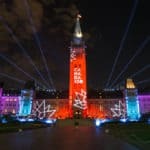 If you ever get to the Island, you should definitely check it out. I absolutely love Tofino, for all of the reasons you have mentioned. The Wikaninnish Inn is indeed a lovely place to hang out. For such a small place Tofino really packs a lot of adventure and activities. 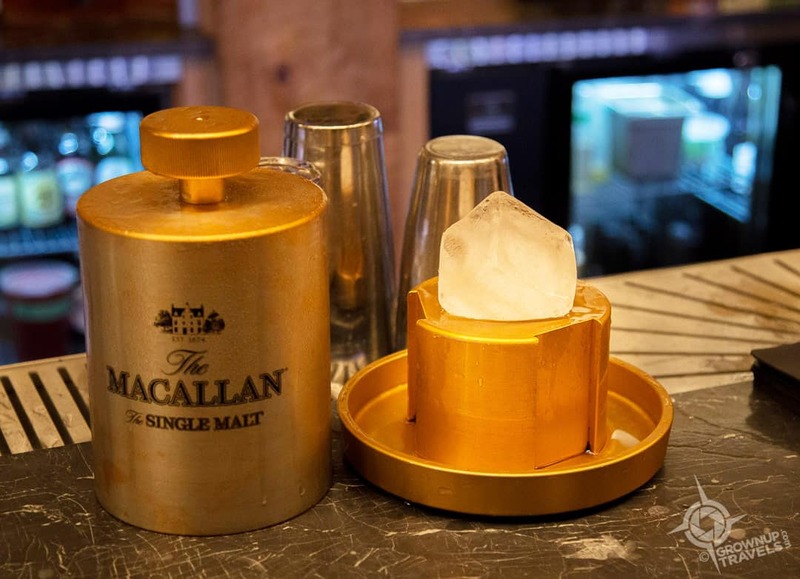 But it still has a quirky vibe that makes it relaxed at the same time.